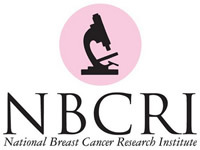 Balbriggan Golf Club is hosting a fund raising day in aid of the National Breast Cancer Research Institute (NBCRI) on Tuesday 9th June 2015. This is an Open event and all golfers with GUI and ILGU handicaps are welcome. The competition on the day is a Scramble open for teams consisting of 3 men or 3 ladies. Hugh Devlin of Cycling and Angling Store, High Street, Balbriggan has generously sponsored a Pink Bicycle for anyone who gets a “hole in one” on the day.